Did you just schedule your first Montana fly fishing trip? Congratulations! You’re going to have the time of your life. However, this doesn’t mean you should go unprepared. Even if you’re getting ready for a fly fishing trip in July, the Montana weather is quite unpredictable. Make sure pack clothing that provides sun protection and, most importantly, a good waterproof jacket and a hat. An afternoon thunderstorm can bring wind, rain, hail and dropping temperatures. These thunderstorms can roll-in quite quickly and create ripe conditions for hypothermia for the ill prepared angler. Rain and cooler temperatures don’t have to ruin your fishing trip – you can still catch plenty of fish if you pack the right gear! Montana residents care a lot about the protection of wildlife, fish and aquatic resources. 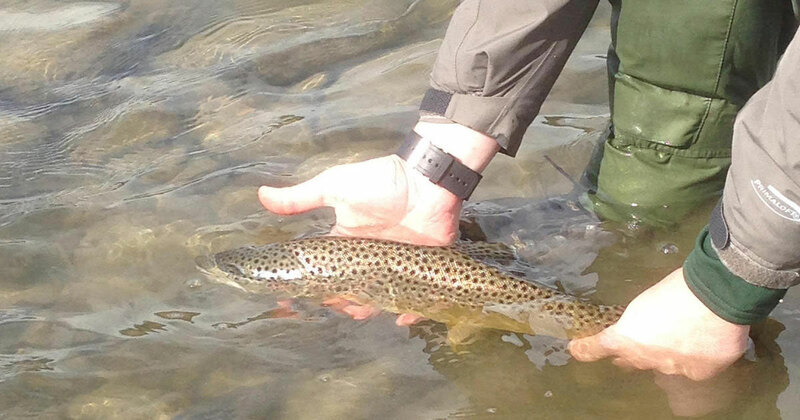 Our outfitting service practices catch and release methods, and all of our guides are good stewards of the resource. Make sure you don’t leave behind any garbage or trash and adhere to the Montana Stream Access Law. 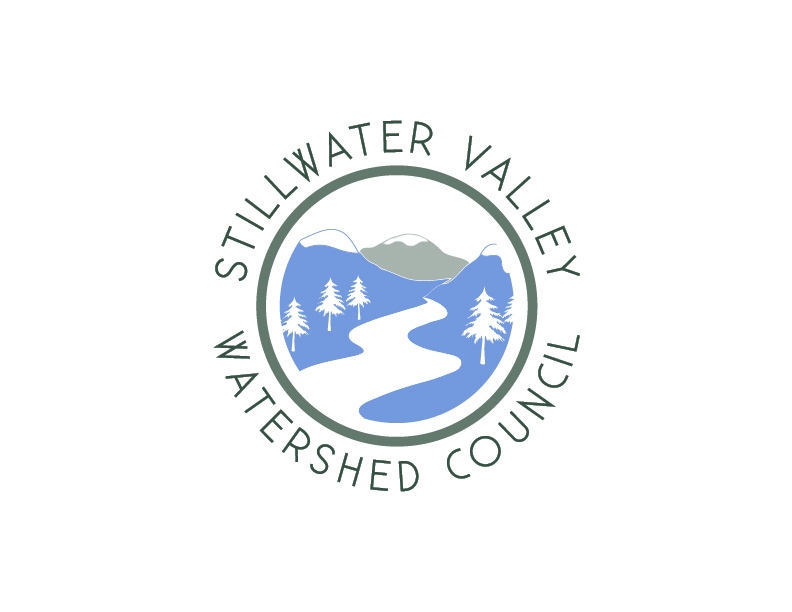 Your guide will help direct you to the areas where you can legally walk and wade on the river. Montana’s stunning scenery can also be very deceiving. You can get lost, have trouble finding the best fishing accesses or even spend a whole day on a stream without catching a single fish. 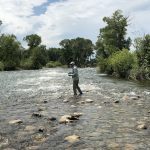 A local guide can help you identify the best spots and also give you tips on what flies to use and what water to direct your cast. 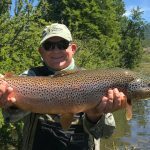 Even if you won’t be using a fishing guide for your entire trip, it’s advisable to get at least one guided day in, to better learn the area and river. You may think you have everything you need for your fly fishing trip, but surprises happen. 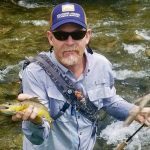 Even if you go to a local Montana fly shop just for advice or for local flies, it’s good to keep the address and phone number to that shop handy. You’ll find that people here are very passionate about fly fishing and don’t mind sharing their secrets with you. As previously stated, Montana takes fish protection very seriously. 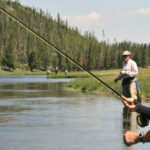 Consequently, if you go fly fishing without a license, you may end up paying a hefty fine. All guided trips will require that you show your license as part of the trip preparation. 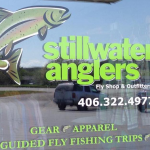 Licenses are available at most fly shops and other outdoor type businesses and stores. You can wait and get your license the day of your trip, or get one ahead of time. Getting a license in Montana is easier than you might have thought. For your convenience, you can purchase one right here in our Columbus, MT fly shop or even purchase one online with only a few clicks. You don’t want to waste any time when you arrive at the destination. Make sure you have gear clean, organized and ready to go. If it’s been a while since your gear was last used, it’s good to go through it and make sure everything is working and in good condition. Don’t assume anything. Don’t wait until you get to the river to discover that you put your rain jacket away wet last year and now you have a jacket full of mildew. Going through your gear can also help to identify what needs to be replaced as well as what flies may need to be added to the fly box. Even if you use a local guide for your fishing trip, it’s a good idea to get a sense of the basic casting movements before you hit the road. This way, you won’t have to waste too much time once you’re there. Of course, your guide will help you refresh your cast and show you some additional techniques to improve. But the whole process will go much smoother if you already know what to ask for. Don’t worry; you don’t need a stream or a pond to do so. Simply getting in a little practice on the lawn in the backyard, local park or in the gym during the winter will go a long way towards making the trip more enjoyable. Do this for a few minutes a day starting a week or two before your trip.